Dreaming of being on a legendary spring fed lake with excellent fishing in American and Canadian waters. Well maintained cottage with walk out basement that can be used year round. First level bedroom, open kitchen and living room, bathroom with shower, two sleeping lofts, plus a screened porch overlooking the lake. 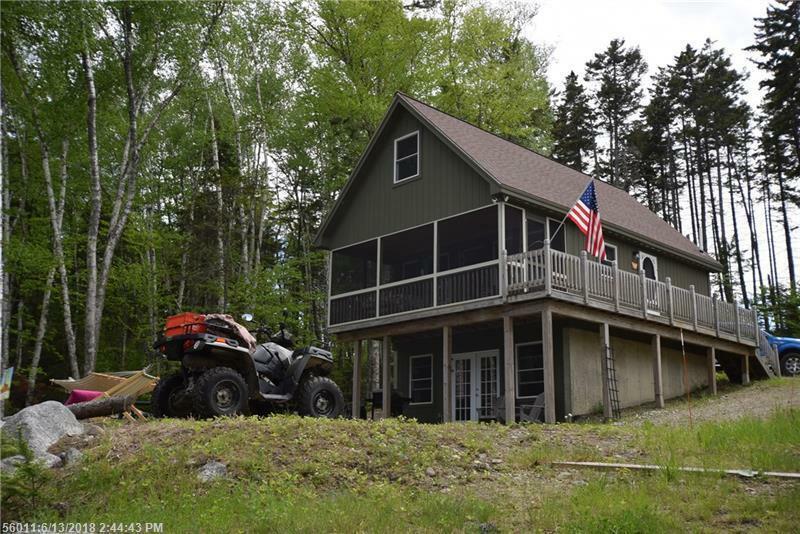 Easy to heat for the winter snowmobiling and ice fishing season with trail access from the property. East Grand is one of Maine's premier fishing and recreational lakes. Enjoy fishing, boating, water skiing, swimming, ATVing, snowmobiling, ice fishing, or just plain relaxing at camp around the firepit in the evenings sharing laughter and stories of the day's adventures.